Dennnis Ritchie was an American scientist and brain behind the framing of C language and Unix Operating System. He is also the recipient of 1983 Turing award along with his friend and colleague Ken Thompson. Dennis was heading the telecommunications equipment company Lucent Technologies Inc, before retiring from his position in 2007. Dennis Ritchie was born on September 9, 1941 in Bronxville, New York. His father Alistair E. Ritchie was a scientist at Bell Labs and used to work primarily on switching circuit theory. He even wrote a book 'The Design of Switching Circuits' on the same subject. Dennis went to Harvard University for graduation and graduated there with degrees in physics and applied mathematics. Dennis followed into his father's footsteps and joined Bell Labs in 1967. He used to work at the Computing Sciences Research Center. Dennis started his PhD thesis on "Program Structure and Computational Complexity" under computational complexity theory researcher Patrick C. Fischer. While at Bell Labs, Dennis Ritchie worked on Multics Operating System, along with his friend Ken Thompson. 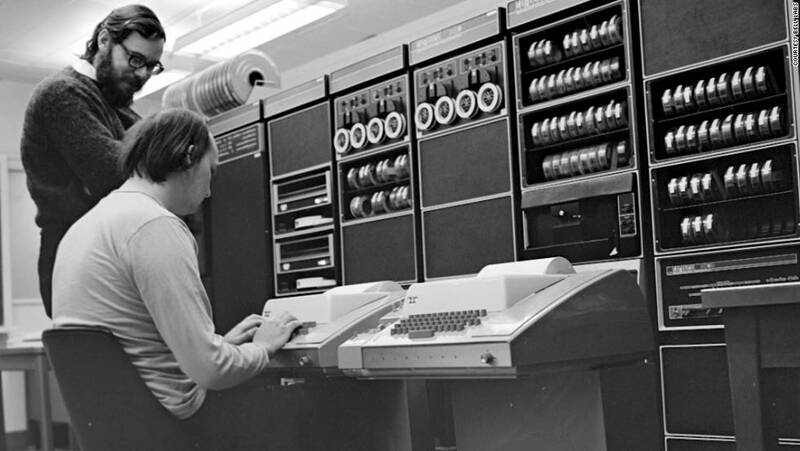 As Bell Labs discontinued the work on Multics OS, Dennis decided to develop its own Operating System with the help of a Programmed Data Processor (PDP) machine. Canadian computer scientist Brain Kernighan coined the name 'UNIX' and helped with the development of the same. UNIX was developed in assembly language and in order to help it with a system-level programming language, Ken Thompson developed BCPL or B language. Dennis further improved B and came up with C programming language. Later development of UNIX was done in C. As Dennis once said, C made UNIX portable. C was earlier called K&R, using Kernighan and Ritchie's initials. Dennis Ritchie co-authored the book 'The C Programming Language' along with friend and colleague Brain Kernighan. Dennis was part of the team working on the development of distributed operating systems 'Plan 9' and 'Inferno', at Bell Labs. Dennis also worked with the initial development of Limbo programming language, which was used to write applications for Inferno. When AT&T, the parent company of Bell Labs, was restructuring itself in the 1990s, Dennis was transferred to Lucent Technologies Inc. He was made the head of the System Software Research Department, which he continued with until his retirement in 2007. Dennis Ritchie passed away on October 12, 2011. He had a heart condition and was fighting with prostate cancer. ➯Dennis Ritchie, along with Ken Thompson, was awarded the prestigious Turing award for implementation of the UNIX operating system and development of generic operating systems theory. ➯ Dennis Ritchie was conferred with 'Richard W. Hamming Medal' by the Institute of Electrical and Electronics Engineers (IEEE) in 1990. ➯Dennis Ritchie and Ken Thompson were made fellows of Computer History Museum, in 1997. ➯Former American President Bill Clinton presented the National Medal of Technology of 1998 to Dennis Ritchie and Ken Thompson, for development of UNIX operating system and the C programming language. ➯Dennis Ritchie was again recognized for development of UNIX, just before his demise in 2011 and awarded the Japan Prize for Information and Communications. ➯Dennis MacAlistair Ritchie was born on September 9, 1941 in New York to scientist and researcher Alistair E. Ritchie. ➯Dennis Ritchie went to the Harvard University and obtained degrees in Physics and applied Mathematics. ➯Dennis Ritchie started working at Computing Sciences Research Center of Bell Labs in 1967. ➯Dennis Ritchie has worked briefly on Multics Operating System. ➯Dennis Ritchie developed UNIX Operating system with the help of colleagues Ken Thompson, Brian Kernighan, Douglas McIlroy and others. 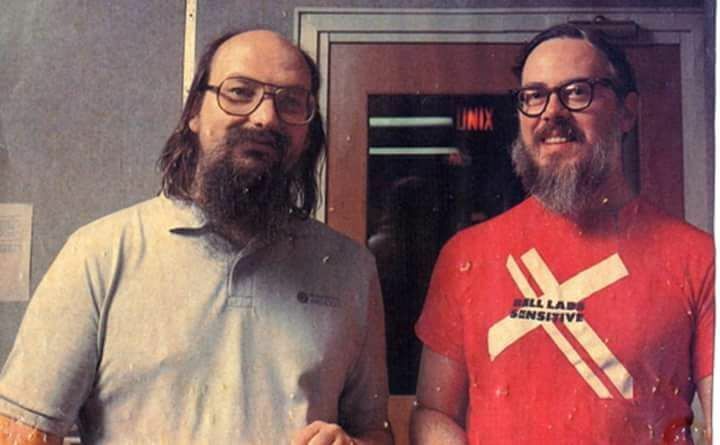 ➯Dennis Ritchie later made some improvements to Ken Thompson's B language and developed a new language C.
➯Dennis Ritchie co-authored the book 'The C Programming Language' along with friend and colleague Brain Kernighan. ➯Dennis Ritchie, along with Ken Thompson was awarded the Turing award in 1983. ➯Dennis Ritchie headed the telecommunications equipment company Lucent Technologies Inc until 2007. ➯Dennis Ritchie passed away in 2011. ➯"I am not now, nor have I ever been, a member of the demigodic party". ➯ "UNIX is very simple, it just needs a genius to understand its simplicity". ➯"Another danger is that commercial pressures of one sort or another will divert the attention of the best thinkers from real innovation to exploitation of the current fad, from prospecting to mining a known lode". ➯"What we wanted to preserve was not just a good environment in which to do programming, but a system around which fellowship could form".